I love using geoboards. 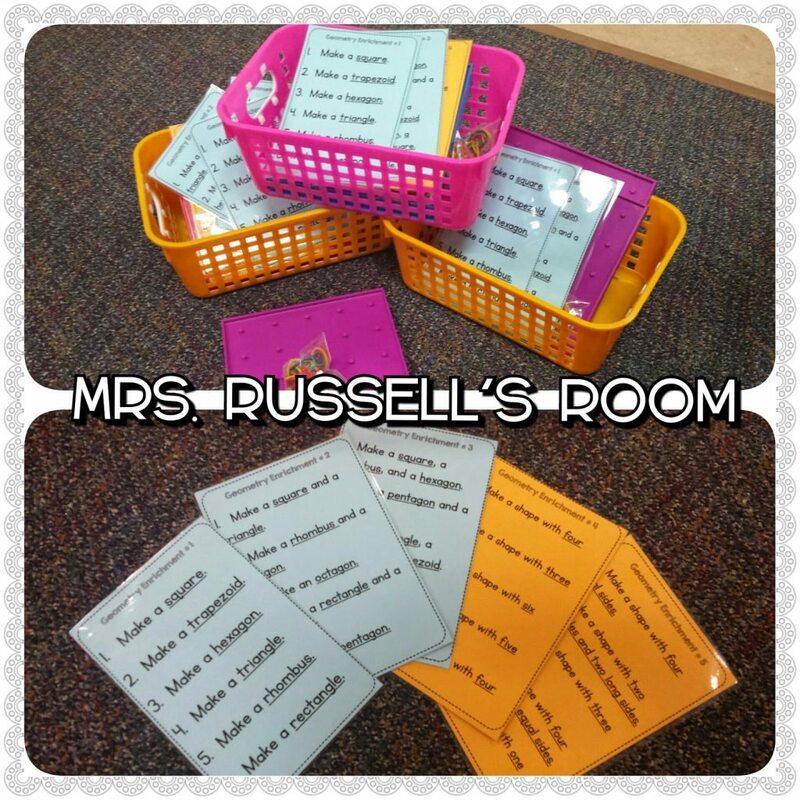 They can be used in a number of different ways. I was using them for teaching plane shapes and it occurred to me that I could also use them to teach fractions! Let me show you what I did! I have the double sided geoboards. I use the side that has a circle on it. 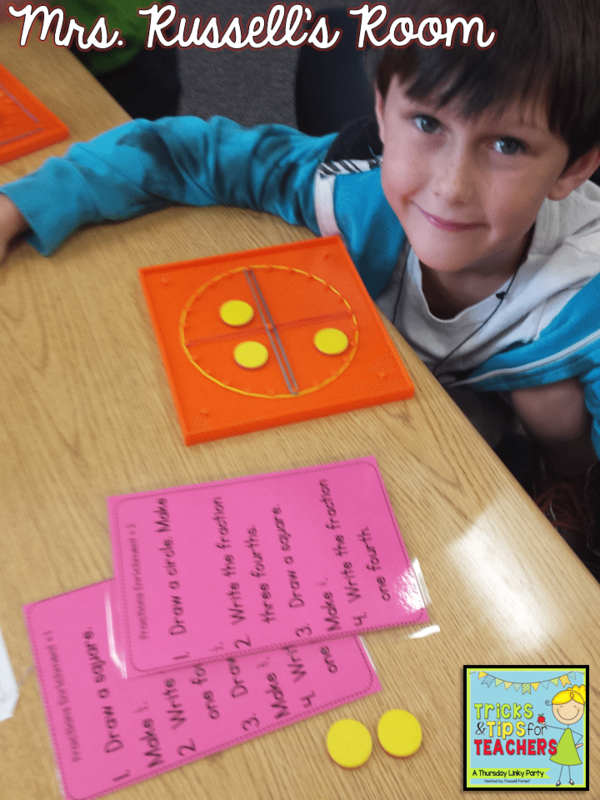 In first grade, students have to know how to separate a circle or a rectangle into halves or fourths. They need to know that quarters and fourths relate to cutting something into four parts. They need to know that half relates to cutting something into two parts. 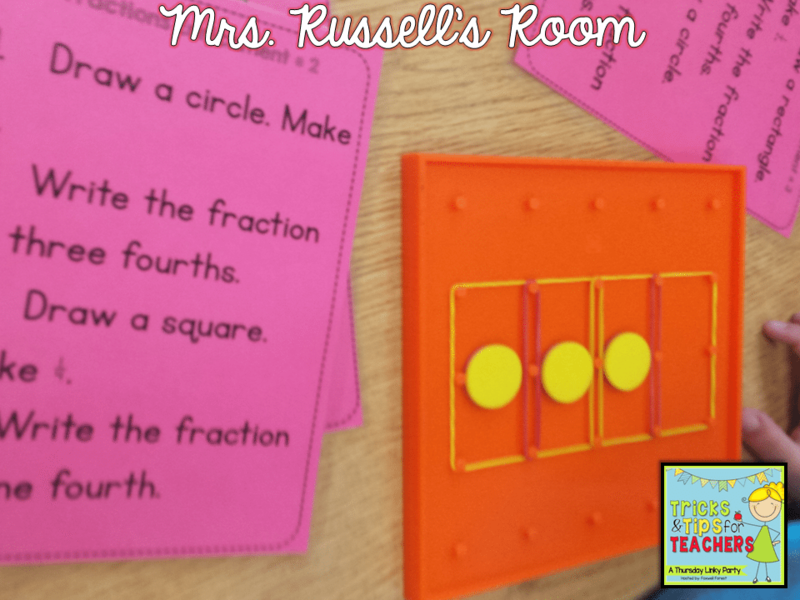 I also add in that I want my students to write fractions with a denominator of two or four. I created six sets of cards. Two on each page. 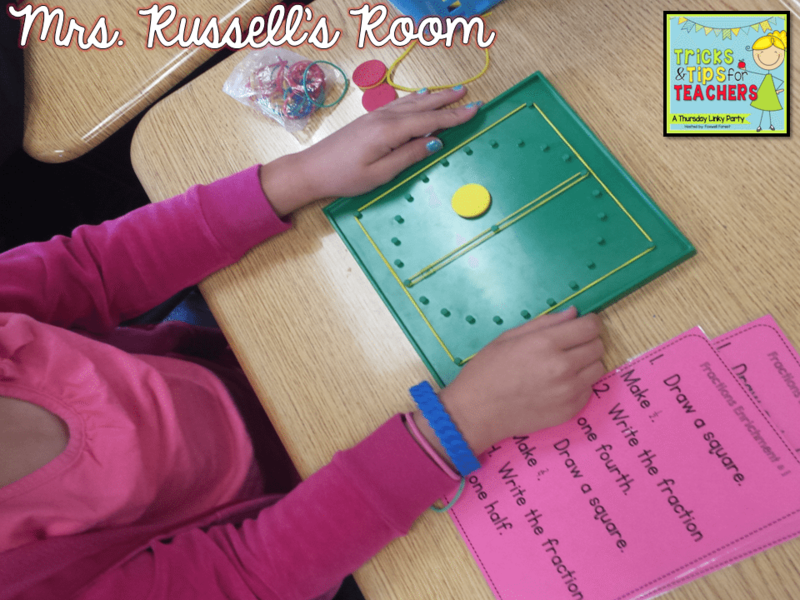 Love your center cards using the geoboards, Where can I find them ?